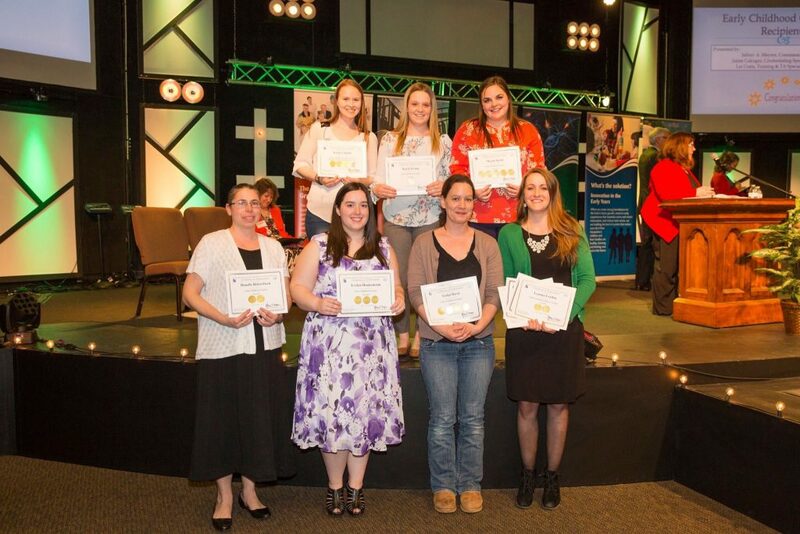 An annual statewide credentialing celebration of Early Childhood Professionals was held on April 10, 2018 at Grace Capital Church Auditorium in Pembroke. Educational leaders and State Representatives spoke passionately about the role educators have in teaching, nurturing, and enriching the lives of children and families. 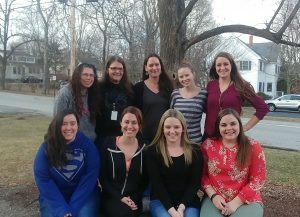 White Birch Center, and its education staff, was recognized in multiple categories at the event, hosted by the NH Child Development Bureau in accordance with the Early Learning Alliance of NH and Child Care Aware of NH. Nine staff members from the White Birch Centers for Early Learning and Extended Education were recognized at the ceremony and awarded education credentials in various levels of specialized training and professional development. 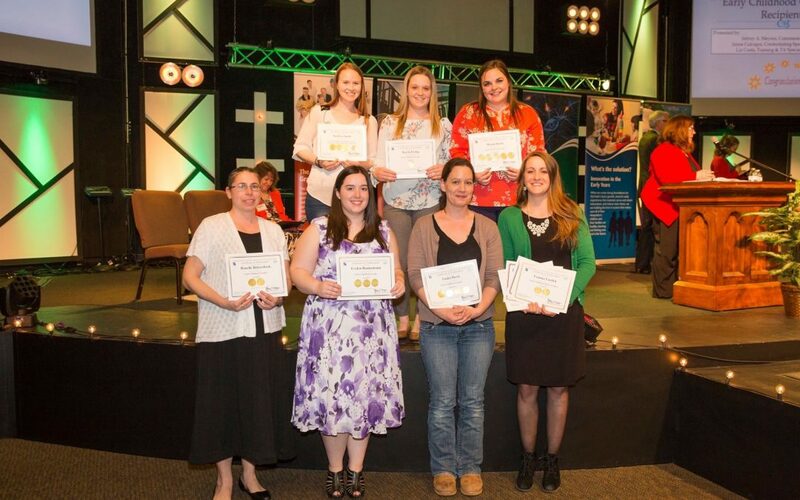 Credentialing recipients included: Denelle Rittersback, Evelyn Hannemann, Tasha Davis, Leanna Lorden, Kaitlyn Smith, Kayla Irving, Megan Keim, Judy Watkins and Jessica Jensen. White Birch was also recognized as a Licensed-Plus Child Care Center and a Strengthening Families program participant. The NH Early Childhood Professional Development System recognizes professional development while providing a process for attaining professional credentials. Professional development in core competencies and specialized content areas helps improve the knowledge, skills, behaviors, attitudes, and values of the early childhood workforce. This is a critical component of high-quality early childhood programs. Leanna Lorden, Director of Children’s Programs at White Birch, explains “White Birch places significant emphasis on ongoing professional development, quality early learning, formal child assessment practices, and early behavioral supports”. White Birch is an annual participant in this credentialing event.